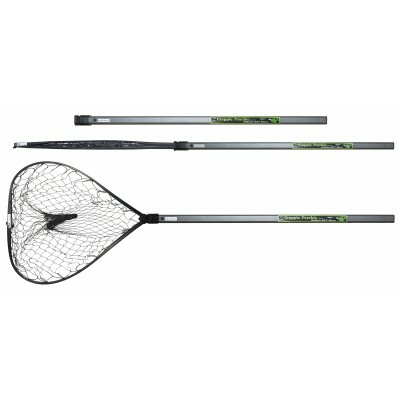 An awesome net brought to you by The Crappie Psychic and The Fish Grip Company. This net easily extends and closes and is the most storable net on the market. The Hidden-Net Worx is constructed of Aluminum, Plastic, Nylon, and Stainless Steel, so no worries of rust. This light-weight net is designed for up to a 10 pound fish. Instruction manual is included. Free shipping offer does not apply to orders which include 1 or more of the Hidden-NET-Worx. For orders of 3+ nets, contact us for shipping estimates.